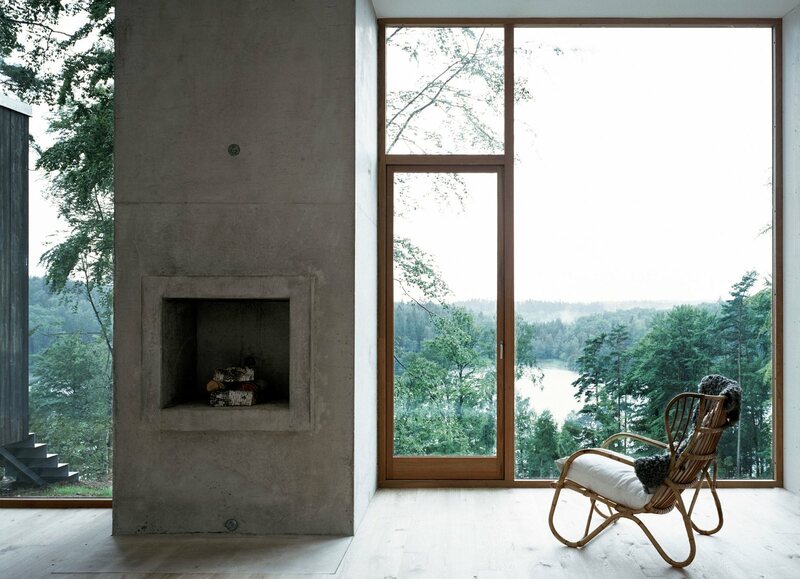 Serene living space with open concrete fireplace and floor-to-ceiling windows overlooking the woods and lake. Project Forester's House and Service Building in Grimeton, Sweden, designed by Petra Gipp Arkitektur. Photography courtesy of Petra Gipp Arkitektur.